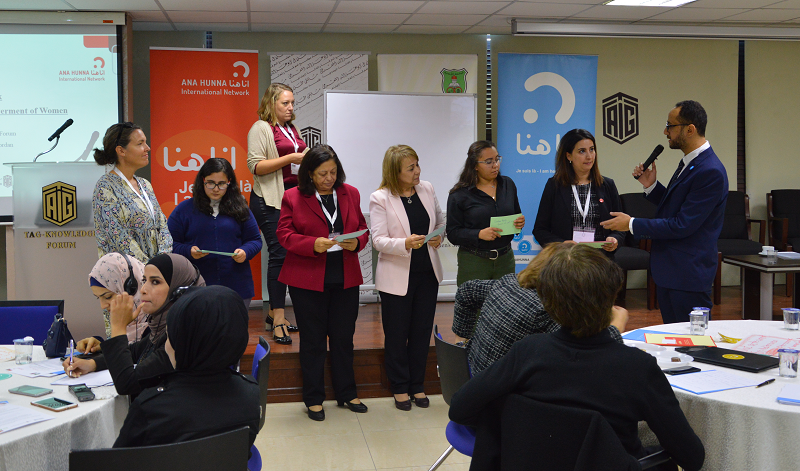 Amman/ Jordan, 13.November 2018: ANA HUNNA International Network held in cooperation with the Center for Women`s Studies of the University of Jordan its first strategic talk on innovation for economic empowerment of women. The Strategic Talk focused on the most effective ways in improving women’s job opportunities and the positive impacts of social stability worldwide. 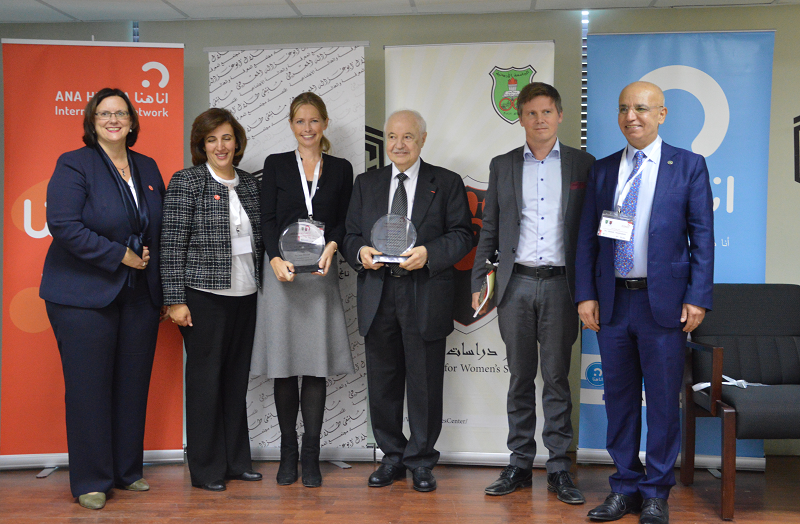 The strategic talk hosted by Talal Abu Ghazaleh Knowledge Forum was attended by high level representatives from national, regional and international organizations, as well as the Ambassadors of Norway and of Sweden in Jordan. During the talk, participants shed light on common challenges facing women in MENA and Europe, and key factors enabling them to play a stronger role in economy Participants ventilated these themes with a specific focus on strategic approaches to pave the way, on following the SDG principle “leaving no one behind” and on effective practices for advocacy. 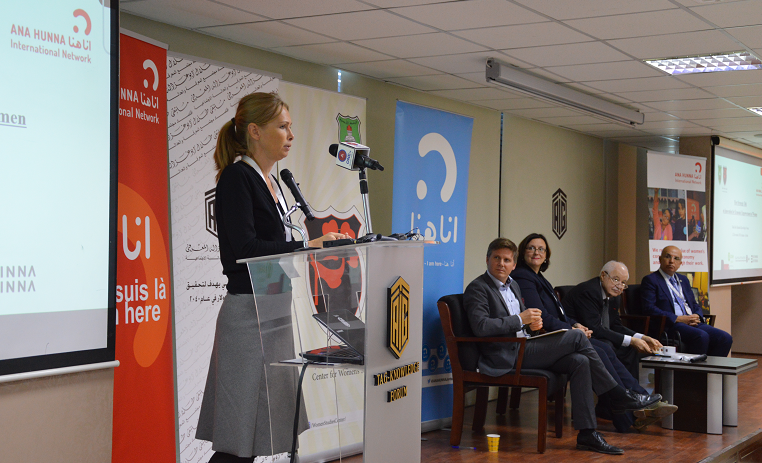 Ambassadors of Norway and Sweden confirmed their countries’ commitment to advancing gender equality and empowerment of women in MENA as the only way to achieving prosperity and advancement in terms of political, social and economic status. Participants then exchanged on key challenges and best practices to address them, coming from their own countries and experiences. Identified challenges focused on digitalization, migration and globalization. In the discussion, the value of building effective and strategic cooperation amongst participating organizations became particularly clear. From his part, the vice president of the University of Jordan, Dr. Ahmad Majdoubeh, welcomed the attendees and stressed his pride in the partnership of the University of Jordan represented by the Center for Women’s Studies with the Anna Hunna International Network Economic Empowerment of Women, where the goals of the network intersect with the objectives and vision of the university seeking to link the outputs of education to the labor market and to enhance the role of females and their participation in the labor market. He also expressed his appreciation for the efforts of the network in bringing together Europe, the Middle East and North Africa. This contributes to a better understanding of women’s issues and bridging the gap between East and West in relation to promoting human rights. Participants in the strategic talk addressed the need to leave no woman behind, in line with the sustainable development goals, to which all UN member states are committed. In his keynote speech, Dr. Talal Abu Ghazaleh addressed ANA HUNNA International Network, and the delegations from different countries, specially ANA HUNNA Jordan, and expressed his hopes that in the era of the Fourth Revolution or so-called “Knowledge Revolution” the creativity and innovation of Jordanian women will be on equal footing with men in Jordan in the field of knowledge creation and entrepreneurship, noting that through absolute equality and full democracy on the Internet, there are no more excuses related to social obstacles and barriers and Women should call on themselves for self-employment. 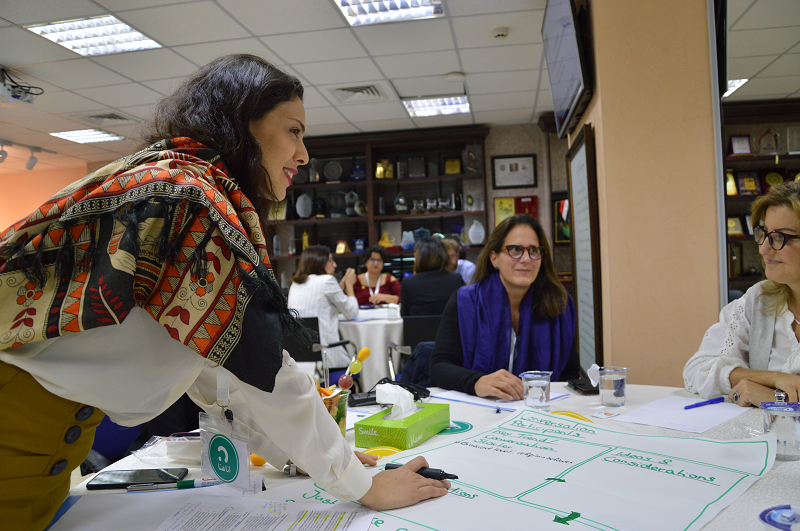 Results of the strategic talk, which was supported by Talal Abu Ghalazeh Knowledge Forum, Kvinna till Kvinna and Oxfam in Jordan, will be considered for developing innovative and collaborative programs that help achieve better economic empowerment of women across MENA. 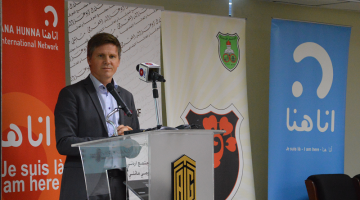 ANA HUNNA International Network was founded in 2017 by 22 organizations and individuals from MENA Region and Germany. 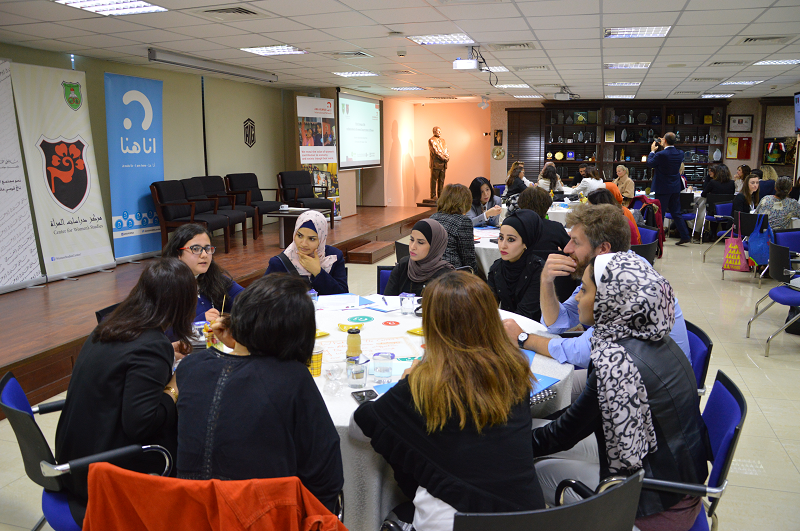 It brings together people in the Middle East, North Africa and Europe to work on a common goal: to encourage and empower women to pursue their ambitions and lead self-determined, active and powerful lives.ANA HUNNA began in 2011 as a media campaign, showing strong women. The films raised awareness and today, it is a strong network of women and men, that promote the economic integration of women. H.E. 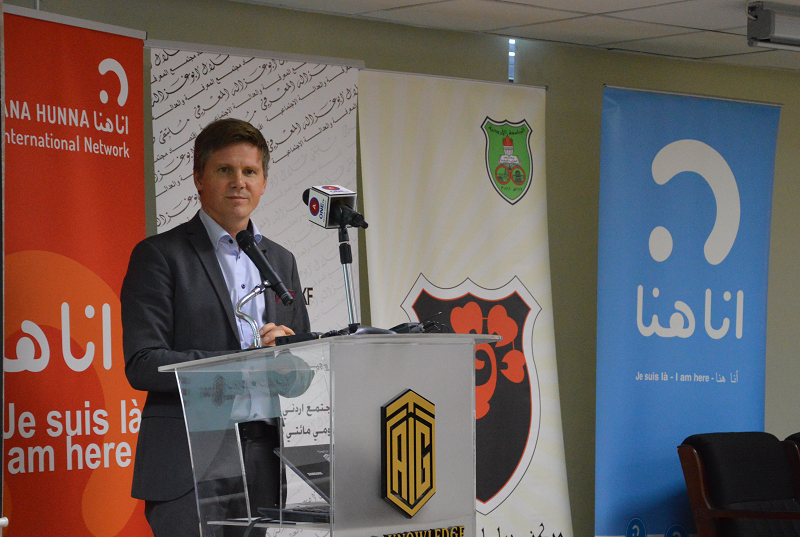 Mr. Erik Ullenhag, Swedish Ambassador, talking about the good practices of economic empowerment of women in Sweden.